Wireless broadband provider, Wildanet, is expanding its network deployment across Cornwall. The Goonhilly-based Internet company has successfully covered around 80% of the Lizard Peninsula with reliable Internet speeds and is now looking to expand its network further into Cornwall. Using investment raised via Crowdcube, it is aiming to extend its network providing coverage to 100,000 homes and businesses across the county where broadband provision is still poor. After only three days of going public on the crowdfunding site, the campaign hit 95% of its £1 million target. A recent community deployment saw the village of Gunwalloe take up the service with residents describing the service as “life changing” allowing some to start working from home and set up new businesses. “For some people working from home, it has definitely changed their lives,” explained Clare Murray, landlady of the Halzephron Inn at Gunwalloe. 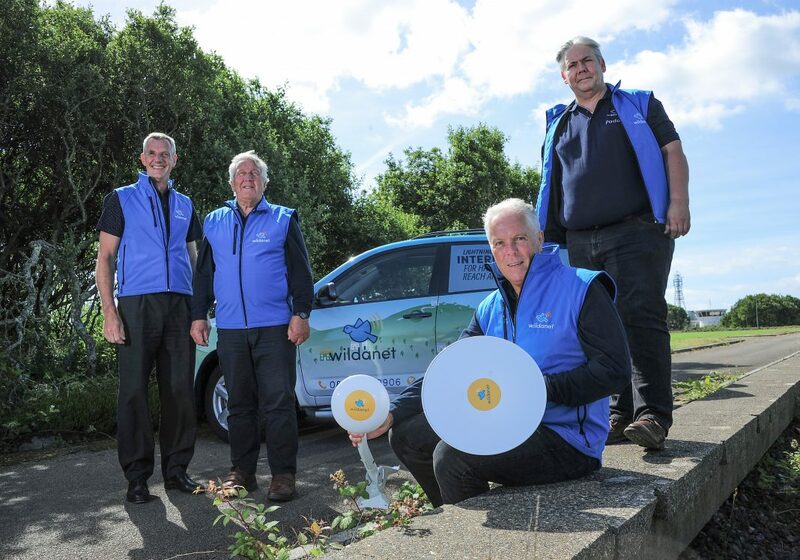 Using a series of community hubs, Wildanet is providing an alternative method to deliver high speed, reliable Internet to homes and businesses into areas without fibre. People in rural locations are able to rapidly go from less than 2Mbps to 30Mbps plus, allowing them to work from home, which in itself saves people money on fuel and inevitably means their new broadband connection pays for itself. Wildanet CEO, Ian Calvert, said: “Wildanet’s objective is to actively target areas that have been ignored by the major providers. “Our ethos is simple – ‘Location must not be a barrier to great Internet access’. In 2018, speeds of 2Mbps are simply not good enough to cope with modern bandwidth demands of streaming music and video, using e-commerce websites and remote working.